News sources said the event simulated a massive retaliatory nuclear strike against an enemy attack. 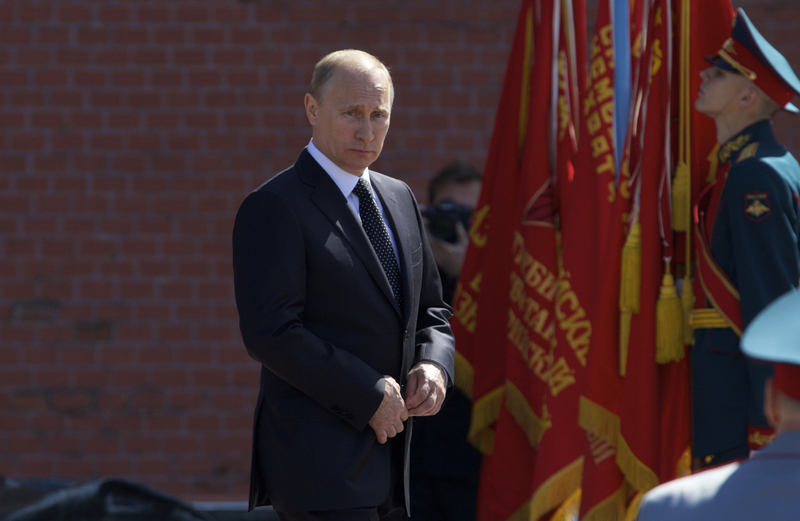 MOSCOW — President Vladimir Putin on Thursday oversaw a military exercise involving Russia’s nuclear forces amid escalating tensions over Ukraine. While Putin said the exercise had been planned back in November, it comes as relations between Russia and the West have plunged to their lowest point since the Cold War over Ukraine. Putin, speaking from the Defense Ministry’s headquarters where he oversaw the exercise along with leaders of several ex-Soviet nations which are members of the Collective Security Treaty Organization, said that the maneuvers involved the military across the entire Russian territory, including the nation’s nuclear forces. Russian news wires said that the exercises simulated dealing a massive retaliatory nuclear strike in response to an enemy attack. The description of the exercise is unusually blunt, reflecting tensions with the West running high over Ukraine. As part of the maneuvers, a Topol intercontinental ballistic missile launched from the Plesetsk launch pad in northwestern Russia successfully hit a designated target on the Kura testing range on the far eastern Kamchatka peninsula, the military said. Two nuclear submarines of the Northern and Pacific Fleets, the Tula and the Podolsk, also fired intercontinental ballistic missiles.